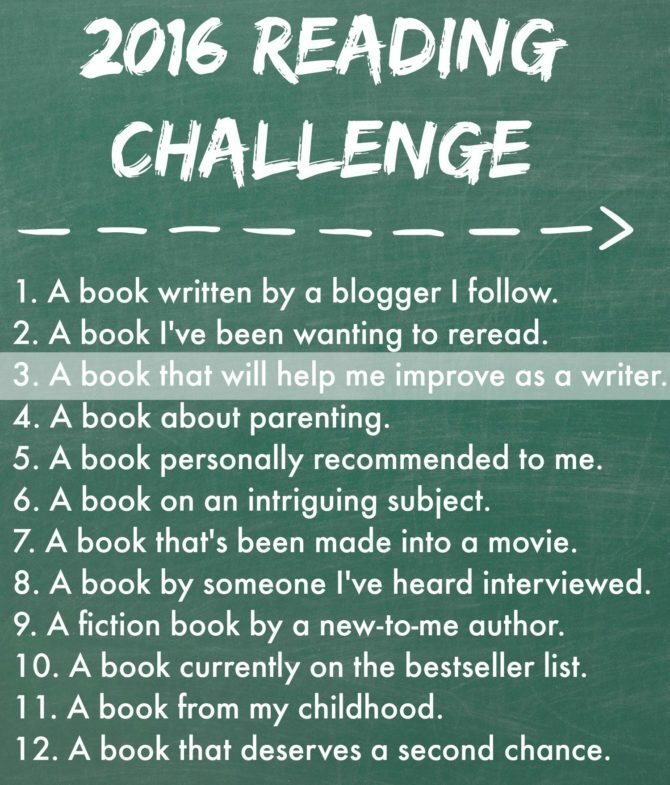 2016 Reading Challenge: A book that will help me improve as a writer. Jeff Goins is known around the Internet for being a writer. But he wasn’t always comfortable with that title. In his books and on his blog and podcast, Jeff frequently shares a story of how he had been writing his whole life, but he never truly became a writer until he laid claim to the title—accepting that he was a WRITER and then proceeding to write with intention and purpose. Like Jeff, I have difficulty calling myself a writer. It’s true that I write daily, in my journal and on my blog and in various other capacities. But the title of WRITER seems so formal, laden with expectations that I am unqualified to meet. Writers have published books. They make money with what they do. Their words come effortlessly, their stories are entertaining and educational, and their blog posts are free of grammatical errors, clichés, and too many ellipses. . . clearly I am not a real writer. Thanks to inspiration from Jeff and others in his field, I’ve grown more comfortable with embracing my identity as a writer, even though I feel like a toddler playing dress-up in her mommy’s heels. Laying claim to the title of writer does not mean I must be the best at what I do, but it does prompt me to take my work seriously and to constantly try to improve. 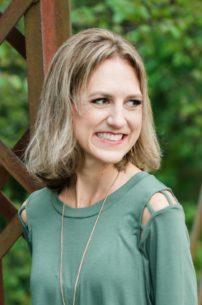 And so I will say it: My name is Kendra, and I am a writer. The most effective way to improve as a writer is simply to write. But if I am to take my writing seriously, I know that I need to incorporate other forms of professional development. One aspect of this is reading about my craft, which prompted me to include “a book that will help me improve as a writer” in my 2016 Reading Challenge. A funny thing about writers: they seem to enjoy writing about what they do. Lately I’ve read some excellent memoirs from great writers like Anne Lamott, Annie Dillard, and Ann Patchett. These books have given me more insight into the minds and lives of these published authors, and they have provided me with some wonderful examples of quality writing. I’ve also been making more of an effort to focus on the quality of writing in everything that I read. I tend to take others’ writing at face value, reading primarily for content while paying little attention to form. But lately I’ve been trying to change that, focusing on things like sentence structure and use of story, and contemplating ways I can emulate the styles I admire in my own writing. While I have been learning—and hopefully improving—from reading these other books, I wanted to read a true writing guide for this category. 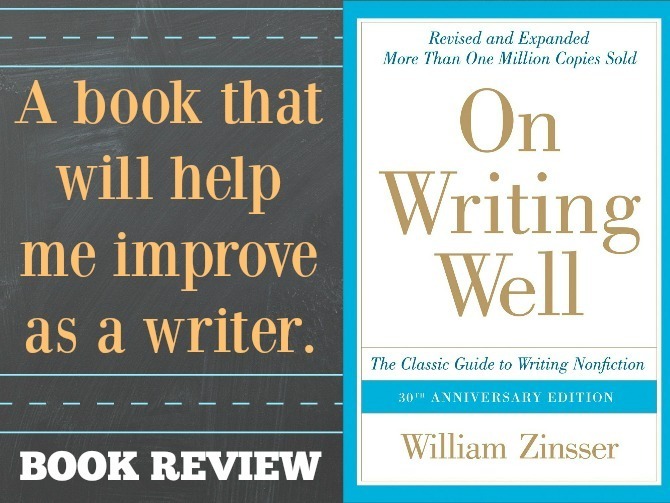 I settled on On Writing Well: The Classic Guide to Writing Nonfiction, by William Zinsser. 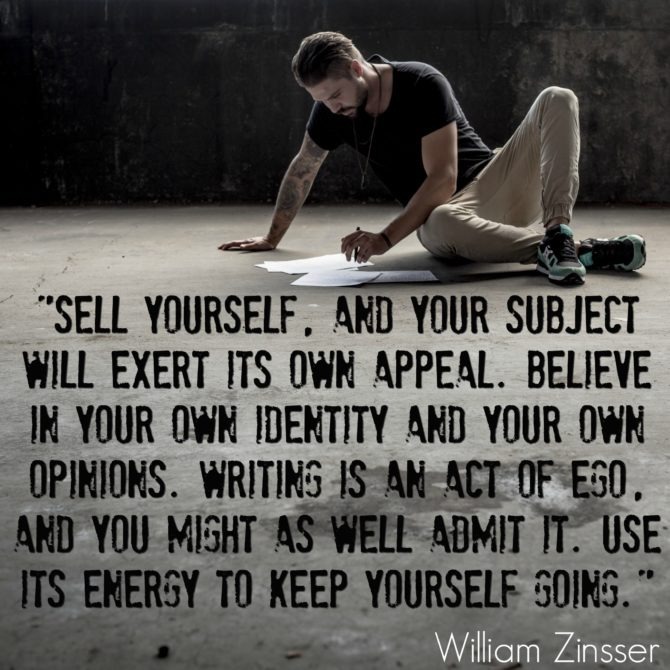 Zinsser was an author, editor, and writing instructor, so if anyone is qualified to write a tutorial on writing, it’s him. On Writing Well addresses nearly every facet of writing, from principles and methods to attitudes, voice, and style. A large portion of the book is dedicated to specific forms of nonfiction, including travel, humor, business, sports, arts, memoirs, and family history. I found every chapter helpful, even those that discussed genres that hold little interest for me (such as sports), but my biggest takeaways related to Zinsser’s views on the value of brevity and simplicity. <— The length of this review is a clear indication of the work I have ahead of me in this department. In the spirit of “show! Don’t tell!”, On Writing Well offers more than excellent advice—the book itself is a brilliant example of writing of the highest caliber. Zinsser’s style is humorous, accessible, and entirely worthy of emulation. The book also incorporates numerous samples of fine writing from other authors of various genres, all accompanied by explanations of what makes these pieces so great. The one drawback to reading a book of this type is its propensity for making the reader (ahem. . . me) feel inferior as a writer. Never before have I been quite so aware of my own inadequacies within the field of writing. I must remind myself that On Writing Well is not a definitive guide. 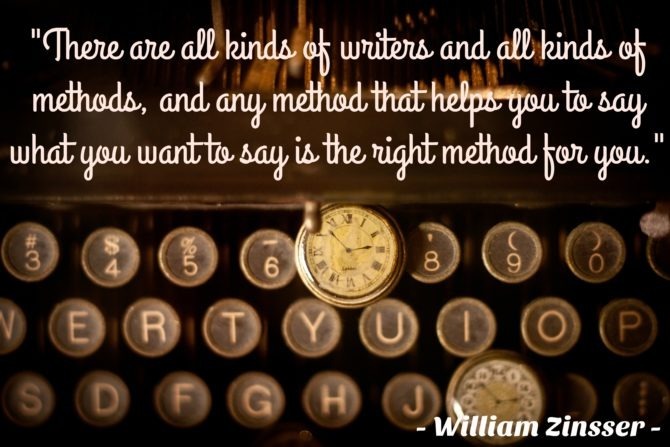 Zinsser himself acknowledges that there are many styles and methods of writing; failure to heed all of his advice does not necessarily mean I am doing things wrong. 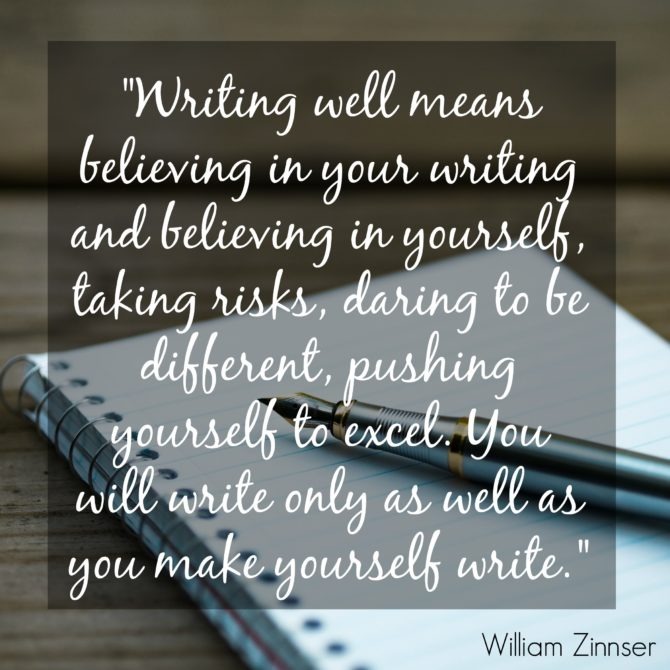 However, I do strive for continual improvement and On Writing Well is helping me do just that. I plan to regularly revisit this book, and would highly recommend On Writing Well for all writers—those who wholeheartedly embrace the title of WRITER and even those who are simply eager to learn more about the craft. Grammar Girl’s Quick and Dirty Tips for Better Writing, by Mignon Fogarty: My grammar has gotten a bit rusty since my school/teaching days, so a refresher course would be a good idea. I enjoy Fogarty’s podcast and expect this book contains similar great advice given in manageable bites. 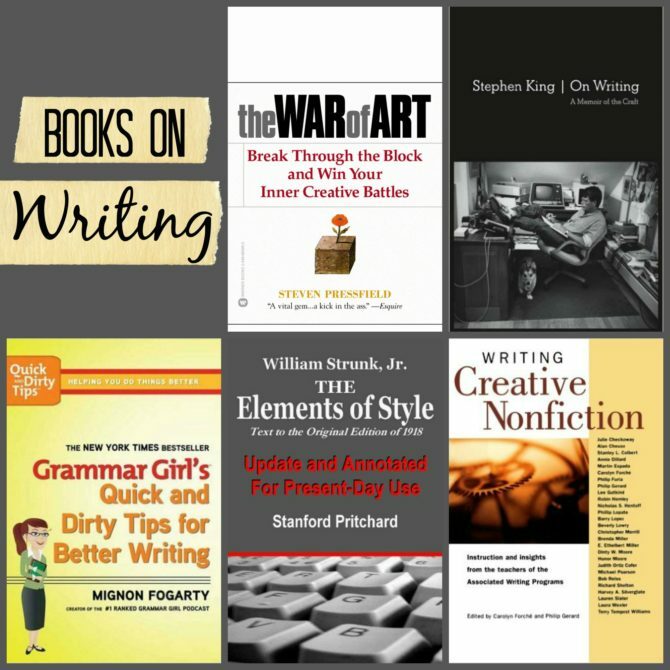 Writing Creative Nonfiction, by Philip Gerard: This compendium of essays and writing exercises contains pieces from some of today’s top writers of nonfiction. This is a lesser-known book, but the reviews are excellent. On Writing: A Memoir of the Craft, by Stephen King: Stephen King is one of the greatest authors of our time; who wouldn’t want to learn from the best? Many writers I respect have cited this memoir as their favorite writing resource. The War of Art: Break Through the Block and Win Your Inner Creative Battles, by Steven Pressfield: I don’t necessarily consider myself an artist, but I do face creative obstacles and am eager to read Pressfield’s advice for conquering inner resistance in the pursuit of worthwhile creative endeavors. The Elements of Style, by Stanford Pritchard: Zinsser refers to this classic in his own book, mentioning that while it is not a definitive guide, it does contain helpful pointers and admonitions. This seems like one that would be good to have on my bookshelf. If you have any further recommendations, please share them with me!